Hi! 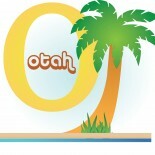 We are the profession association for OTs in Hawaii but aren’t recruiters. Please check out our recent postings for jobs for employment opportunities. Thank you. Thank you for the information. I I will check out the recent postings. In case you happen to come across any such postings, I will be obliged if you kindly forward the same to me.